Nintendo Wii U release date November 11, from $249? 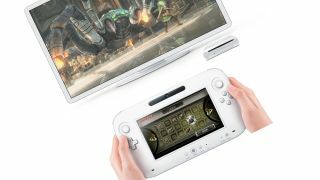 The latest date to emerge as the possible landing spot for the Nintendo Wii U is November 11. The console has appeared in an online listing for the company that provides US retail outlets, Amazon, Newegg and Blockbuster with their products. The Video Product Distribution (VPD) listing suggests there will be three different SKUs arriving on launch day, priced at $249, $299 and $349. In proper money, that's £156, £188 and £219, but it seems very unlikely that those prices would convert directly into sterling. Just last week we reported in rumours that the next-generation console would be arriving on November 18. On that occasion a peripherals manufacturer, reportedly let the date slip during a talk at GamesCon. Hopefully, we'll know more on September 13 when Nintendo America holds an event in the US where reporters will get more hands on time. It is hoped that Nintendo will announce the release date, price and line-up of launch games at that event.